I love a bargain – I think we can all agree that getting amazing value for your money makes spending feel a lot less guilty. I’m always on hunts for great deals and bargains, and pride myself in finding the best ones. I was contacted by the lovely India in which she told me about an amazing beauty event that The Original Factory Shop are currently holding. If you haven’t heard of TOFS, then you can check out their website here. 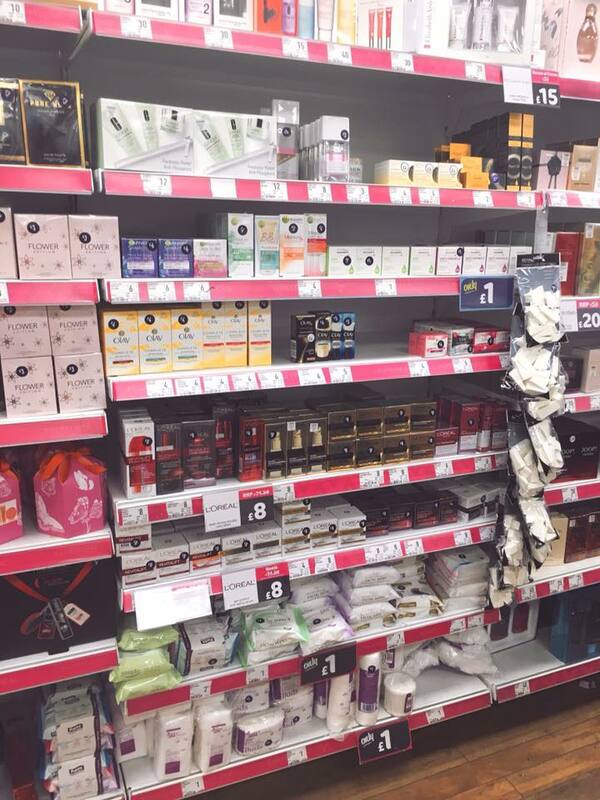 They always have big brands for small prices and you are guaranteed to get amazing savings on anything beauty, fashion, home and electricals. It’s one of those stores you go in for one thing and end up coming out with seven. They have over 225 stores country wide, and you can usually find them in smaller towns. My closest stores are Montrose, Forfar and Fraserburgh but you can easily find your nearest store by using their store locator here! 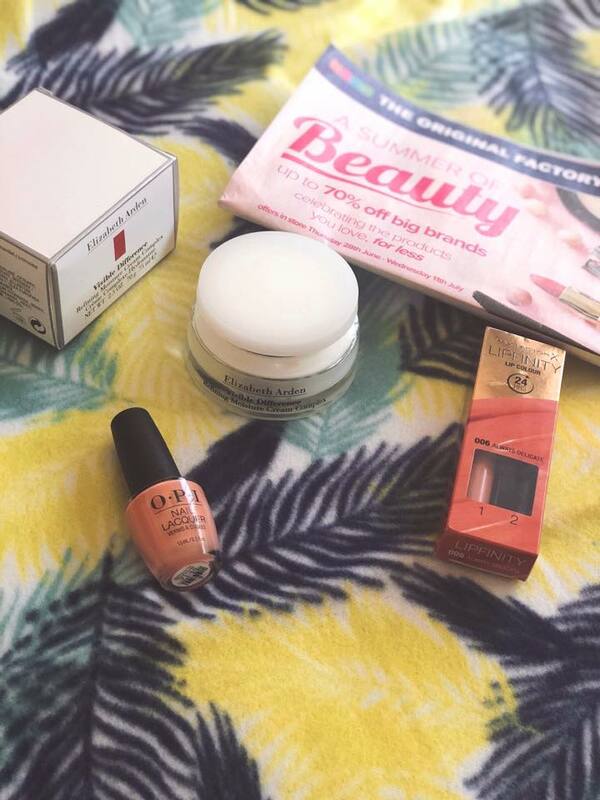 As you’re reading this, theres a beauty event currently running in store from the 28th June for two weeks, where big beauty brands such as Elizabeth Arden, Clinique, Clarins, Revlon, OPI, Rimmel and more are being sold at unreal prices! I think its important for people to know that they don’t need to go and pay high prices for branded products, and they can actually be affordable for everyone. Of course I had to pop into my local store and check the event out for myself and I may have grabbed myself a few bits and pieces. I selected a few of my favourites, but there was so much choice I took so long to decide haha! I finally decided on the Elizabeth Arden Moisturiser, Maxfactor Lipfinity and an OPI nail polish. I honestly couldn’t believe the savings I got with these! I only paid £15 for the Elizabeth Arden moisturiser and it’s currently selling at £30 in House of Fraser. The Lipfinity was £6, saving about £5 when comparing it to the RRP price. They had an amazing selection of different OPI polish shades, but I finally settled on this gorgeous peachy colour, which was only £5. They were also included in an offer where you could purchase any two for £8! Considering the RRP price for one of the polishes is £13.50, this is an amazing bargain and I’m already regretting not picking up more. 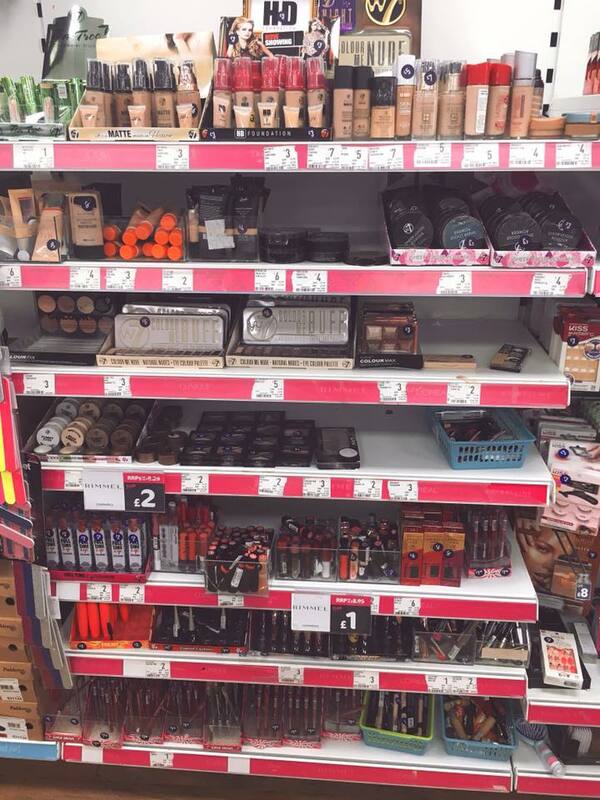 I snapped a picture of my local shops beauty selection to show just how much they had to offer! Not only are you saving up to 70% in store, but if you show this code: BLOGGER10 in store with your purchases, then you’ll receive an extra 10% off your beauty products. The beauty event ends on the 12th July, so you better be quick if you want to snap up some amazing savings!